Right now on Amazon.com you can save 73% on this TaoTronics Telescopic Monopod Mini Selfie Stick for Android and iOS Smartphone! Only $3.99 (was $14.99)! Grear for getting some fun family pics this summer! 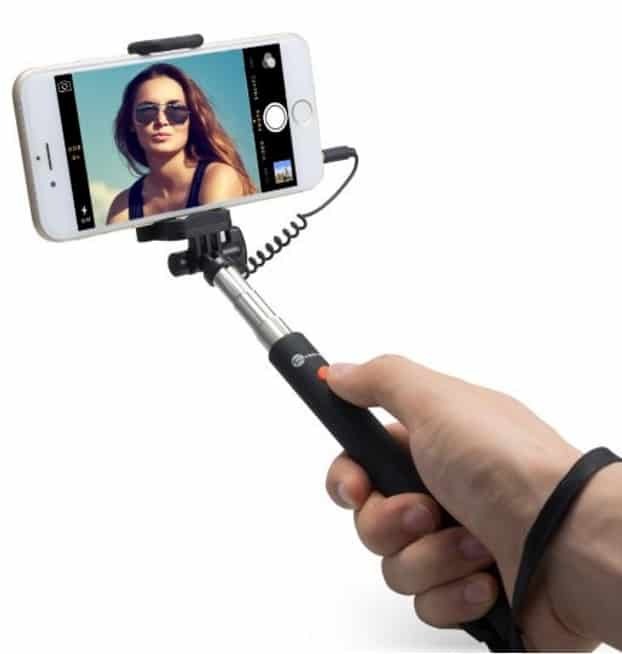 Plug-and-go selfie stick for Android and iOS smartphone, no battery, no Bluetooth connection, connect with 3.5mm universal jack and take instant photos and selfie. The lightest and smallest retractable selfie stick on the market that's been engineered to be as compact and portable as it possibly can. Extendable phone holder supports device width between 54mm-85mm (2.1 – 3.3 inches) and rod length between 170-670mm (6.69-23.68inch); stable and steady hold. Ergonomic handle, the most comfortable grip, easy to reach camera button, and a lanyard to prevent falling accident. 3.5mm connector compatible for most of phones, with spring wire reaching out to headphone jacks without jamming, easily tucked into the wire collector when not using.